Lately, people have been telling me I should quit trying so hard to find a girlfriend. “When you stop looking, that’s when you’ll find her,” they say. I’m not sure if I believe them, but I’ve made a move that could seriously curtail my dating life: I got a dog. Granted, I’ve been thinking about it for years, and the reason why I haven’t done it is because I’m not home much during the week. I’ve got an office job at a magazine every weekday, and I often go out in the city after work. On dates. Bad dates. Bad Internet dates. That wouldn’t be so easy if I had to head home to the suburbs every night and walk the dog—and no, that’s not a euphemism. I’m also nervous because I’ve never had a dog. I grew up in a non-pet house. Everyone was allergic to something, and I seemed to be allergic to everything. 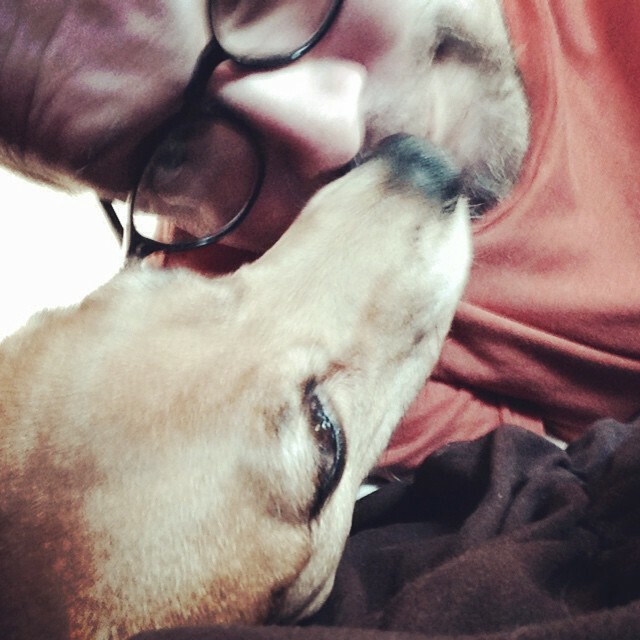 But I’ve always loved dogs, and since I got divorced ten years ago, I’ve had long-term relationships with a couple of women who had amazing dogs and had no problem spending significant periods of time around them. Around the dogs, that is. In the meantime, my ex-wife adopted a dog, much to the delight of our two children. Frosty was an older poodle, and his name accurately reflected his attitude towards me. I wasn’t crazy about him, either, especially after he nipped me. Frosty had a tendency to run away, and I was less than thrilled about having to comfort my inconsolable offspring every time he went on a walkabout. That task was even harder when he died after only a few years. I was experiencing the worst parts of having a pet without enjoying any of the best parts. 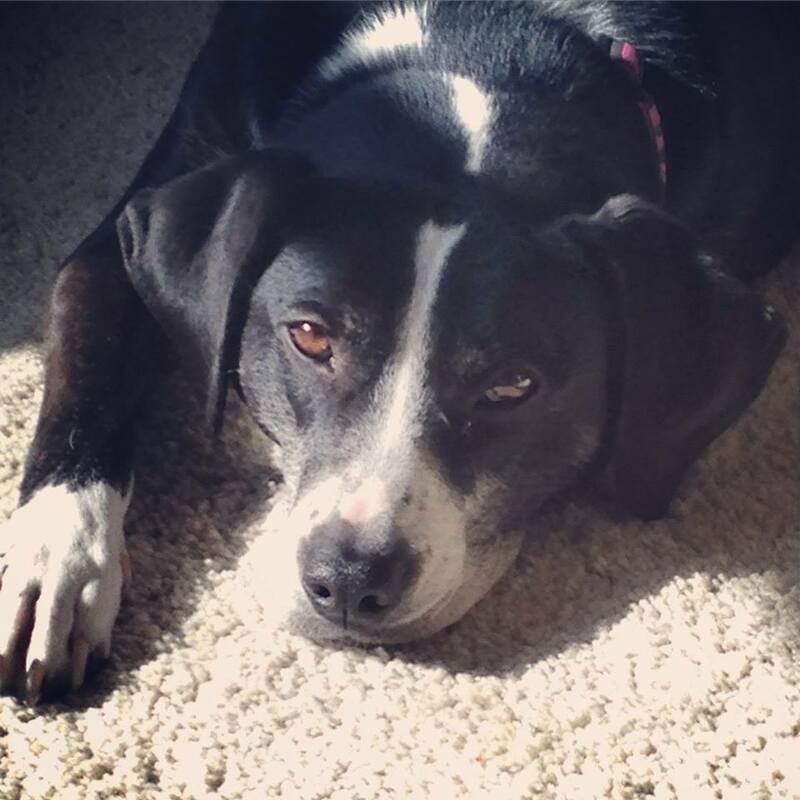 After a reasonable mourning period, my ex got a new dog: a young black-and-white mutt named Tux. It was love at first sight between us. She’s the sweetest, most affectionate creature I’ve ever known. But she’s not mine. Still, I managed to finagle a good deal of time with her. When my ex went away for weekends without the kids, Tux often along with them to my house for extended sleepovers. She usually ended up in my room. And I couldn’t have been happier. We talked about working out a shared custody agreement, but that didn’t come to pass. (Exes unable to agree on a compromise? Shocking, I know.) So I sought out time with other friends who have pets. I’ve taken walks in the park with an ex-girlfriend and her adorable black pooch Rex. 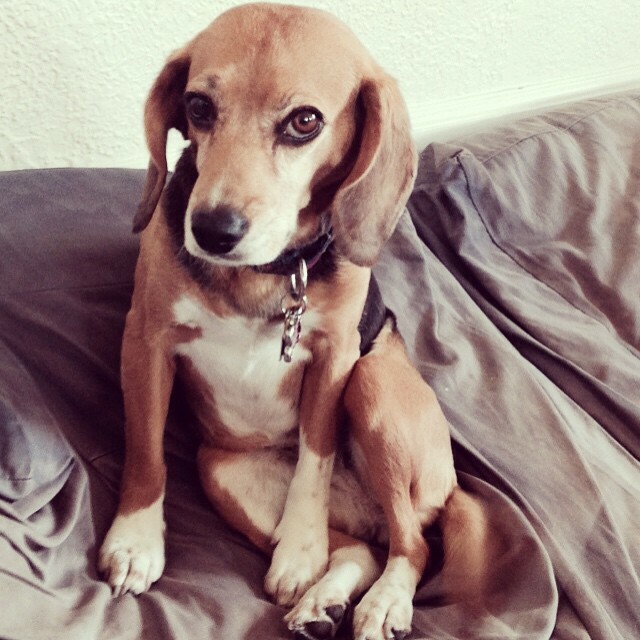 And I spent a week dog-sitting my neighbors’ wonderful beagle, K.C. My 13-year-old daughter Olive kept telling me, “Just get a dog, Pop!” every time I comment on a cute pup we come across in our neighborhood. We visited a shelter, but we didn’t bond with any of the four-legged residents there and went home empty-handed. 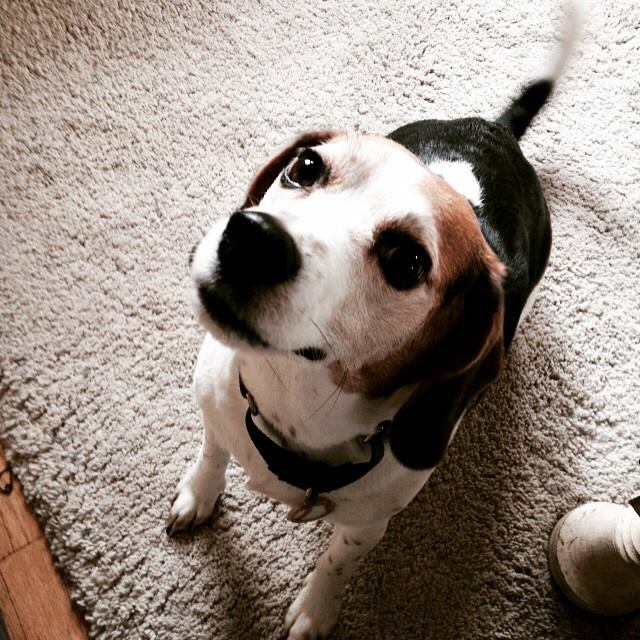 A few months ago, I saw a post on Facebook that a beagle had been found near my house. She was being kept at my local hair salon, and they were looking for someone to adopt her. It felt like canine kismet, but I hesitated and soon heard the woman who cuts my hair had taken her in. Oh well, I thought, at least she got a good home. Then a few weeks ago, my hairstylist told me she was moving abroad and needed to find a new home for the dog, whom she’d named Clementine. Determined not to miss out on my chance again, I told her I’d be interested in adopting her. We set up a playdate, and my kids and the dog immediately fell in love with one another. But before we could finalize the deal, Clementine found another owner, someone who works from home and has another dog to keep her company. My kids and I were crushed. Until a few weeks ago, I got a text from my stylist that Clementine wasn’t happy in her new home. Would I still be open to adopting her? It was doggie destiny! She’s been living with us for a week now, and the bad Internet dates can wait. All I want to do is revel in the unconditional love of my darling: Clementine. That is one of the sweetest things you could have written. I wish you both much happiness. Dogs are wonderful!